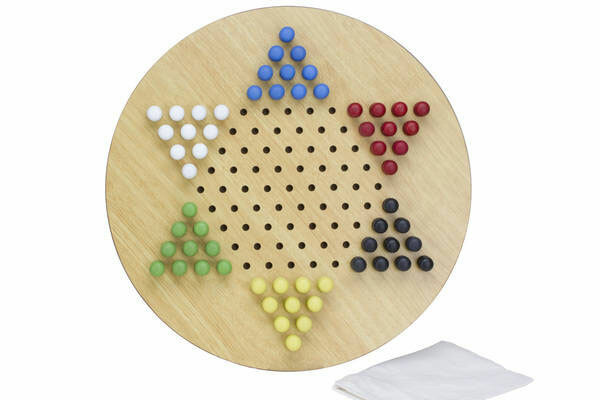 The entire family will enjoy hours of fun playing Chinese Checkers on our Jumbo Deluxe Chinese Checkers Game. The game board has a hard wood oak finish with the traditional round design. Rather than marbles, the set has durable painted wooden pegs that fit snugly in individual holes, improving control and playability. The board measures 17 inches in diameter and is 1 inch tall. It provides loads of playing fun for up to six players.